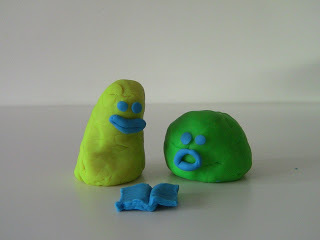 This Stop motion is inspired by the great works of Aardman Studios, a British animation studio based in Bristol. The studio is known for films made using stop-motions clay animation technique, particularly those featuring Plasticine characters Wallace and Gromit. These stop motions made ​​by Paolo (12 years old) are proposable and feasible in school for the simplicity of their characters. Enjoy!